I'm Andrew Hunt, libertarian candidate for Governor of Georgia. Ask me anything! I’m Andrew Hunt, libertarian candidate for Governor of Georgia. Ask me anything! Ever heard the expression that dog won’t hunt? 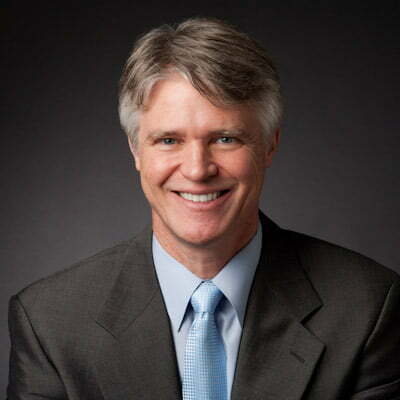 Well when it comes to Andrew Hunt the libertarian candidate for governor, it is one you better not use because this guy is on the hunt for Nathan Deal who happens to be ranked the worst and most corrupt governor in the entire country. If he is able to fight the huge political machines and out of state money by his republican and democratic foes, Georgia voters might like what they hear. It is also imperative that he is given a spot on the podium for any debates. As an underdog Mr. Hunt is far more responsive to direct questions from voters. On his Facebook page facebook.com/huntforgovernor I asked if he was interested in an interview. Within ten minutes he had messaged me personally. Now that is what I call a responsive politician. You can also learn more about his stand on the issues on his main campaign website. Hunt for Governor . I will not rehash what is already easily available on his website. His goals are to make Georgia a top 20 state in education, bring back ethics and accountability to politicians, and work to reduce unemployment while increasing the number of better paying jobs to name but a few of his issues. He also wants to end the Deal era of corruption and cronyism which gives massive tax breaks to a select few big corporations that in turn reward him with meaningless titles like Georgia being #1 in business. He calls his jobs plan The Job Powerhouse Program. This article is not meant as an endorsement, at least not yet. I like what I have read so far, but I want to do my due diligence as all voters should. The one thing I am certain of is Georgia cannot take four more years of Shady Deal. As The Economist pointed out, Georgia Gov. 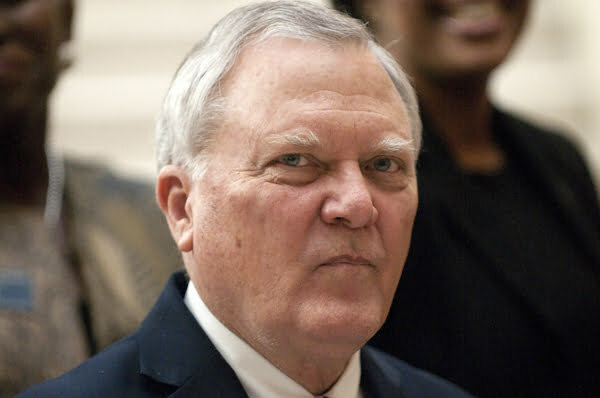 Nathan Deal is famous for getting into big trouble and then using his power and influence as an elected official to find an easy way out. He has been a huge embarrassment to our state and a complete failure as governor. I am betting disgraced governor McDonnell is wondering when all the ethics charges surrounding Deal will take the media spotlight off of him. I am betting soon as the FBI gets further along in their investigation of Deal. If you decide you want to support Andrew Hunt, you can buy yard signs for only $4.50 from Amazon with free shipping as an add-on item. If you prefer to donate directly, you can also do so at their main website Contributions Page. The one thing you owe yourself is to hear him out and don’t simply use the old tired line that it is a vote wasted. Always vote for the person you believe in and never against another candidate or nothing will ever change. If you are asking yourself, what is Reddit you are not alone. For the news and social media junkies that use Reddit, it can become an addiction. For everyone else, they might not know it even exists or just have heard the name. It is a very complicated website to try and explain so I won’t even try. Suffice it to say that people vote on links, news stories, and even simple texts posts up or down. For certain articles that receive hundreds or thousands of up votes, they can go viral quickly and then get picked up on Facebook and twitter. Think of it as Facebook for news junkies without as many recipes, photos of kids or pets, or birthday wishes, and a lot of people that vote on everything submitted to see if it worthy of a wider audience and are quick to attack idiotic posts like a pack of hyenas. They don’t suffer fools on Reddit for very long. I am not a Reddit addict, but I do stop by there on occasion to see stories I would not ever see on local or even national media sites. Please join my subreddit http://www.reddit.com/r/gwmac/ (sorry for the shameless plug 😉 ) I happened to come across this one thread by Andrew Hunt on Reddit and it really got my attention. The quantity and variety of questions posted there is pretty amazing. They cover a wide variety of issues with the candidness that is extremely rare from a politician. I also love the fact that he doesn’t shy away from the tough questions either. Below I will pick and choose just a few questions and answers from the Reddit thread. Some of the questions are extremely long (as in several paragraphs) and the answers also have much more detail. For the full conversation please visit and read them on Reddit directly. This is simply meant to give you a small appetizer and let you decide if you want to read more about this intriguing candidate. You will not see any other candidate with this degree of candid and direct responses. How refreshing to actually get answers instead of deflection and memorized talking points. It is nice to be treated as thinking adults for a change. Q:What do you think about the Libertarian party changing their strategy from one with a national/state focus to more of a local focus? As a proponent of a more powerful local government/weaker federal government, I think this would be a great strategy for recognition and a way to get some momentum. Hunt_For_Governor[S] I agree with you, but Georgia has ballot access laws for local races that inhibits libertarians from running for local office without a restrictive number of signatures. If I get over 20% of the votes in November, then libertarians will have the same open access as the D/R for local government. It is only the governor and presidential races that count towards that 20%. Q: calling yourself a law eraser when you get into office. what kinds of law are going to be erasering? Hunt_For_Governor[S] I want to erase laws that limit out liberty and freedom and create undue regulations. Some examples off the top of my head being laws against medical marijuana, and requiring certain licenses for professions thus making it harder to find jobs.This could range from hair stylists, to basic home services. Requiring people to pay for classes to get licenses is a financial barrier to many that thwarts entrepreneurship and gives advantages to already established big businesses. Q: What’s your position on eliminating the GA income tax in order to make the state more competitive in attracting businesses from neighboring states that don’t impose income tax (FL, TN)? Hunt_For_Governor[S] My priority will be eliminating the Employment Penalty Taxes. It’s not right to punish an employer for helping to reduce the unemployment rate! This can be achieved with identifying 10% of the budget as waste, and then correcting it. Most people believe there’s about 30% waste in government. Reducing this can go towards reducing income tax and enhancing education. This can attract businesses that provide jobs. Q: Do you think libertarianism is possible and/or feasible? If so will the party ever be in charge? Hunt_For_Governor[S] It’s definitely possible! More and more people are becoming dissatisfied with the D/R, who only seem to care about preventing one another from making progress instead of helping the people. These people are turning to a third option. Once libertarian candidates promote smaller transitions in their campaigns, more will win. Making bold claims turns off voters because it’s either too extreme for their tastes or voters doubt it could ever be done. Taking small steps is the key to progress. Changes will be slow but will open doors for future candidates. Q: Who would you like see be our next president? Without factoring in who will run, ideally who would you like see? 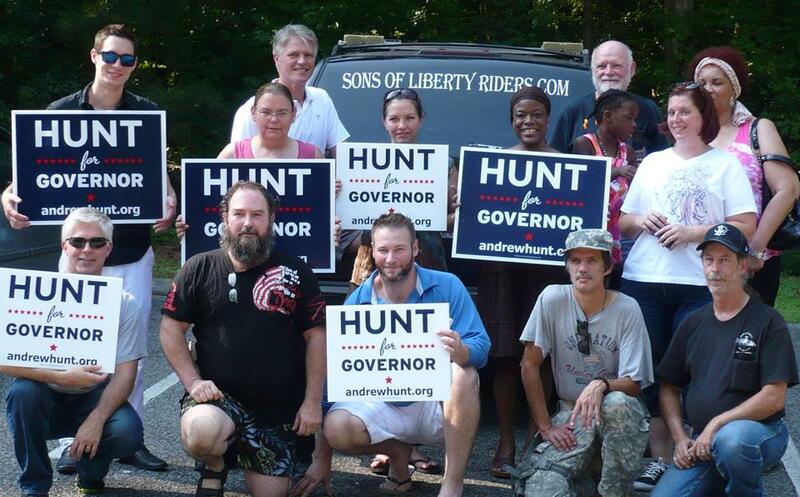 Hunt_For_Governor[S] Without factoring in who’s running, that’s a lot to choose from! We could probably use another George Washington right now! I will say, I’d love to see someone who isn’t an attorney and wants a cost effective, small government, as our next president! There are too many attorneys in office already and industry has shown them not to be effective leaders of organizations. When I mention attorneys, people sometimes interpret it as me saying attorneys are bad. Attorneys are great, but currently, the vast majority of people in government are attorneys! They write laws using language that most people have trouble understanding, and there’s only one perspective. We need more scientists in government, more teachers, more variety! Hunt_For_Governor[S] I support Net Neutrality. If someone pays to install a cable or fiber system in our city they should see benefits for that service but not a monopoly. I support free enterprise! I would be a strong supporter, for example, of Google Fiber being installed in any Georgia city they wished. I have not heard of the Chattanooga example but I’ll look into it and get back to you. Q: Do you have any specific measures that you’d like to take up in the first legislative session, and do you have a plan for getting the measures passed? Hunt_For_Governor[S] The Job Powerhouse program is my highest priority, followed by education. These are the things I want to tackle first. Also eliminating waste caused by excess government regulations. The key to getting these measures passed would be to build the case that this is what Georgians need and want and it’s up to them (the Representatives) to represent the people. Q: I want to know what you want to do about Marijuana reform and if you support recreational legalization, decriminalization, or at the very least some for of medical in our state. Hunt_For_Governor[S] I will push for what can get passed by the state house and senate. Taking small steps will get us farther in the long run! I will work for a broad and strong medical marijuana allowance. For cancer victims, PTSD suffers, as well as all other illnesses that have responded so well to cannabis treatments. I do want decriminalization, if it can get passed while I’m in office, so that people are not taken away from jobs and their families to be put into expensive jails for such a victimless crime. I do not personally use nor encourage broad use of recreational drugs, and would not want profit driven companies widely distributing it. Q: Another Yellow Jacket here. Do you support marriage equality? Hunt_For_Governor[S] Yes, but I strongly believe government should be out of the business of marriage all together. For most of America’s history, the Government was not involved in marriages. Organizations should have the right to decide who they want to marry. Q: What would be your main goal for education reform? Hunt_For_Governor[S] Be a top performer in K12. Offering of school choices outside of public schools, educational savings accounts funded in part by state and federal funding to help with non- public school options. Have the focus be the child and not the system. No common core unless a school elects it. Schools can choose to be focused in different ways; from STEM and vocational to traditional programs. Q: As governor what do you plan to do about all the political corruption that occurs around our state and country? It’s sad to know that our government revolves around money and not constituents. Hunt_For_Governor[S] I agree with you 100%, and I will establish an open and transparent government where people can see bills, who alters bills, and any perks added and who these perks go to. Governments shouldn’t chose winners or losers. When special interest groups and lobbyists control and affect many of the laws, bills, and budgets, of state and federal government, it’s no longer for the people or by the people. This creates unfair advantages to specific companies and industries, which is crony capitalism. Q: Hi, Andrew, Fellow Georgia Tech PhD here. I’m sold on you, but the primary response I get when suggesting you to others (family especially) is that they don’t want to waste their vote. Most have bad memories of Nader in 2000 or Perot in 1992 hurting the candidate they would have chosen otherwise. I have my own replies to those people, but what is your answer? Hunt_For_Governor[S] A vote for Andrew Hunt is a substantial vote and NOT a spoiler vote! Georgia is a runoff state and this is headed to a run off, so vote your principles. Hunt for Governor is the most effective way to vote dissatisfaction of the major parties. Edit: A week after I wrote this article I got the pleasure of meeting Mr. Hunt in person over lunch with some supporters. Here is that story.